Braun inches closer to Brewers career HR record… but will he be around to break it? 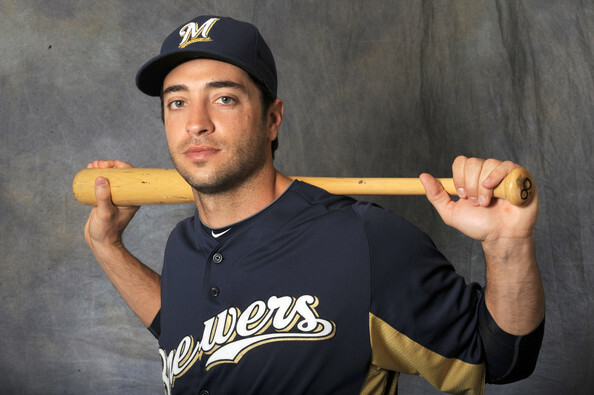 With his 12 home runs this season, Milwaukee Brewers’ outfielder Ryan Braun now has 242 career home runs, all with the Brewers. He is currently second on the team’s career HR list and is just nine homers away from tying Robin Yount for the franchise career mark. Braun is one of two current players who may take over his team’s career lead for home runs this season. While Braun is 10 HRs away from the Brewers top spot, the New York Mets’ David Wright is 22 four-baggers away from taking over the Mets’ career HR mark. Wright currently has 231 home runs, 21 behind Darryl Strawberry who holds the record. One final thought: As the title of this blog may indicate, I have some doubts whether or not Ryan Braun will be around to break Robin Yount’s career HR record. Two factors play into my thought; first, the Brewers currently have the worst record in baseball and there are very few signs that a turn-around this season is imminent. That could lead to the club looking to trade some of their higher-priced talent in a rebuilding plan. Braun would be a logical candidate, plus he would have value to teams looking for added punch for the pennant drive. Secondly, Robin Yount is a beloved player in the Brewers history. Braun, on the other hand, had seen his reputation tarnished over the past couple of seasons. It’s possible that some people in the Brewers organization will not want to see Braun take over the career HR mark from Yount. The career HR mark is a very visible record for any franchise. The thought may be that the club would rather have Yount retain that record than see Braun overtake him. Keep an eye on this as the season progresses and Braun gets closer to the record.